Fresh off her announcement she's joining the presidential race, Sen. Amy Klobuchar said her early campaigning will take her to early caucus state Iowa and neighboring Wisconsin. 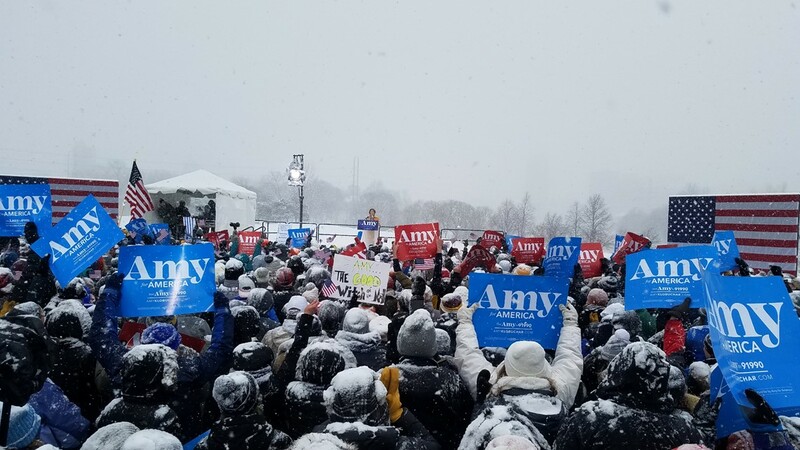 Sen. Amy Klobuchar told reporters Sunday she'll make several trips to early caucus state Iowa and to neighboring Wisconsin, a place often overlooked during presidential primary season. The Minnesota Democrat mentioned her work with a bipartisan delegation from both sides of the border to build the St. Croix Bridge, and said she looks forward to campaigning in the state where her mother was born. 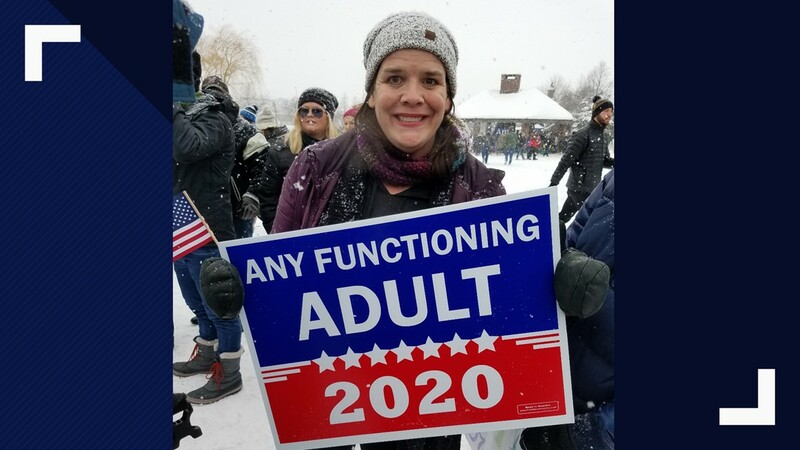 "And it’s really important that we hear from all parts of the country and have someone in the white house that has people’s back," Klobuchar told reporters after her speech announcing she's entering 2020 presidential race, touting herself as an authentic voice from American's heartland. "We want a president who looks people in the eye and tells them the truth and tells them where we need to go, and I don’t think that needs to be from one part of the country. It’s what I’ve done my whole life." Klobuchar enters an already crowded Democratic primary field, and several big names including former Vice President Joe Biden and former Texas Congressman Beto O'Rourke aren't in the race yet. But her supporters warn would-be opponent not to underestimate Klobuchar, the former prosecutor who has a track record of decisive victories tapping into urban, suburban and rural support. 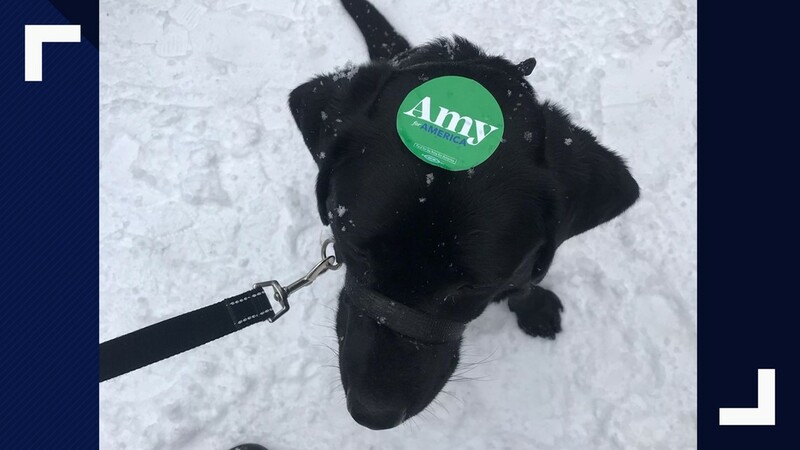 "We are excited for Amy. This is exactly what the country needs -- positive, optimistic leadership," Gov. Tim Walz, who served in Congress for 12 years with Klobuchar as part of the Minnesota delegation. 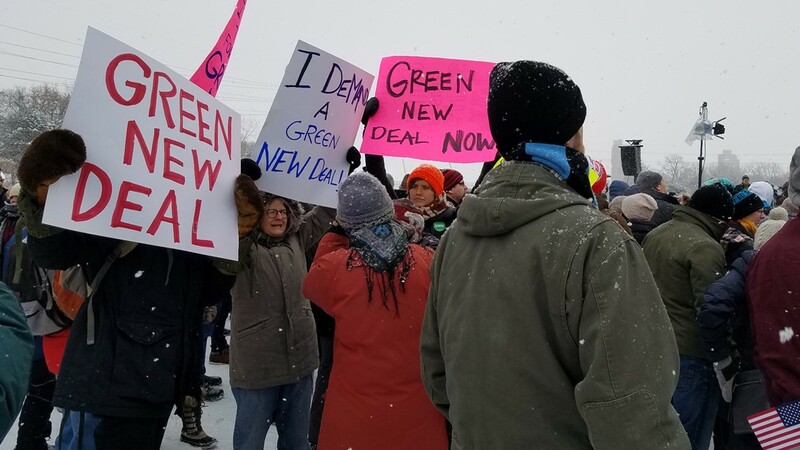 Klobuchar wanted to show the nation on Sunday that Minnesotans have pluck and determination, and nature fully cooperated. 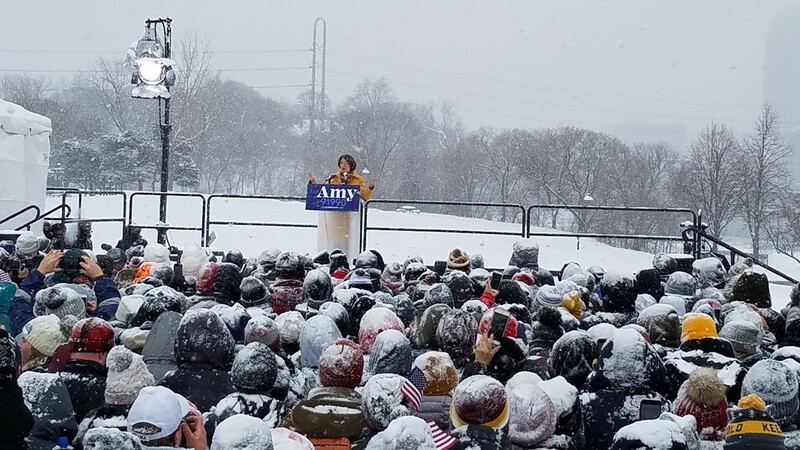 The "Amy for America" campaign announcement drew thousands of backers to Boom Island Park in Minneapolis, during a driving snow storm. 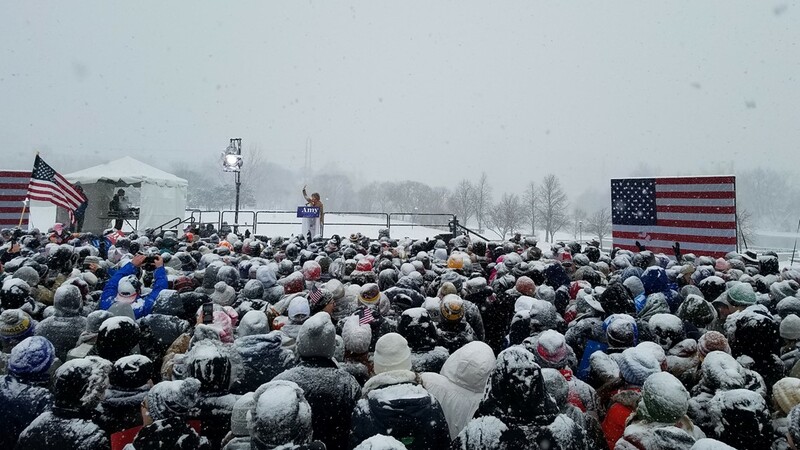 Some supporters arrived on skis, and the torrent of frost from the skies provided the perfect backdrop to a campaign speech about determination. "I don't have a political machine behind me. I don’t come from money, but what I do have is this – I have grit," Klobuchar exclaimed to thunderous response. 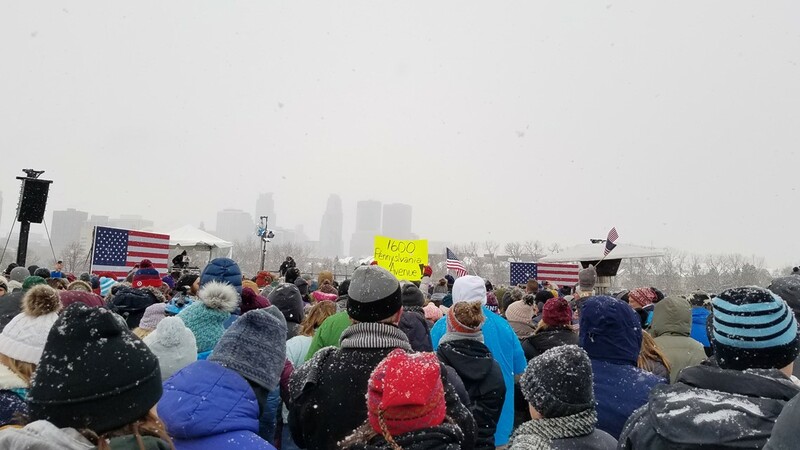 Klobuchar stood on the banks of the Mississippi and talked about how big rivers connect people across the country, and bridges unite them physically and metaphorically. 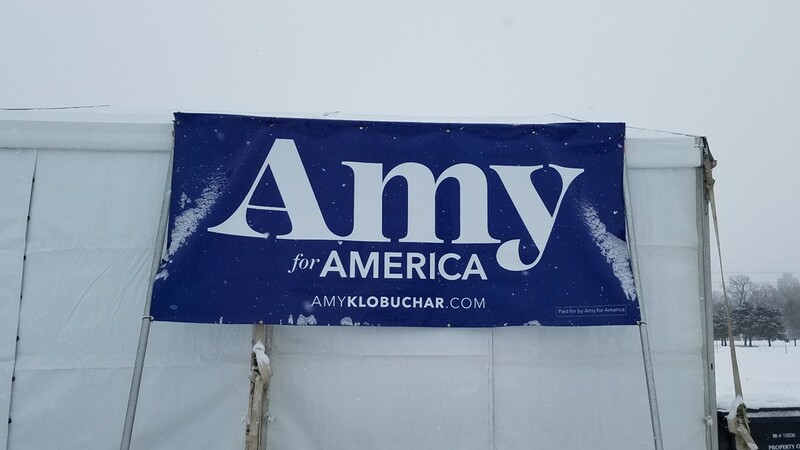 She touted her family story; her grandfather's time in underground mines on the Iron Range, her mother's career as a public school teacher and her father Jim Klobuchar's life as a newspaper man. "For every worker, farmer, dreamer and builder I am running for every American, I am running for you!" Klobuchar declared. "I will focus on getting things done. That’s what I’ve done my whole life. And no matter what, I’ll lead from the heart." In a media gaggle after the speech, she fielded the inevitable questions about former unnamed staffers quoted by BuzzFeed and the Huffington Post, complaining that Klobuchar's an overly tough boss. 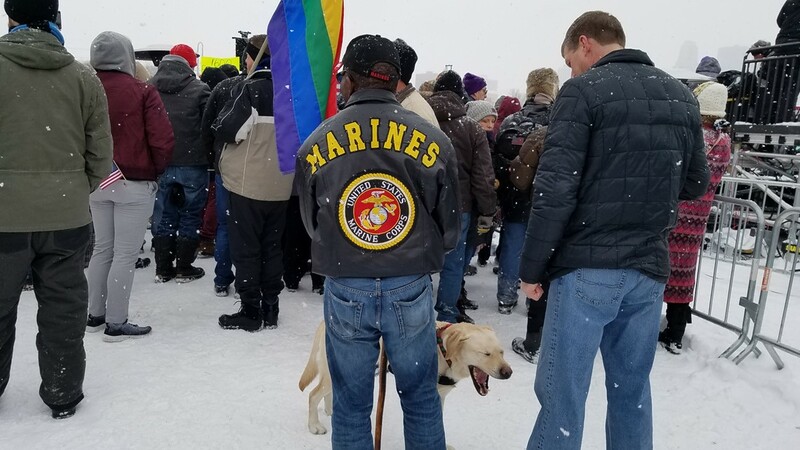 "Yes, I can be tough. And yes, I can push people. I know that," the senator replied. "In the end there are so many great stories of our staff that have been with me for years and have gone on to do incredible things. And I have high expectations for myself, high expectations for the people that work for me, but I have high expectations for this country and that’s what we need." 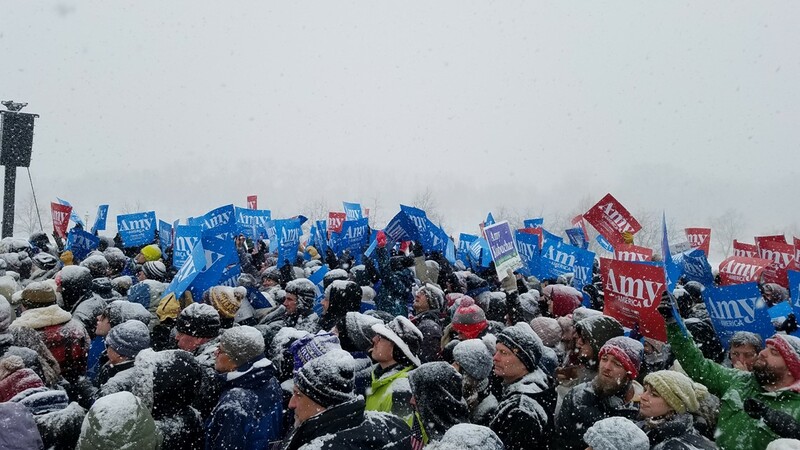 Crowds gathered at Minneapolis' Boom Island on Sunday, Feb. 10, 2019, to see Sen. Amy Klobuchar announce her 2020 campaign for president. 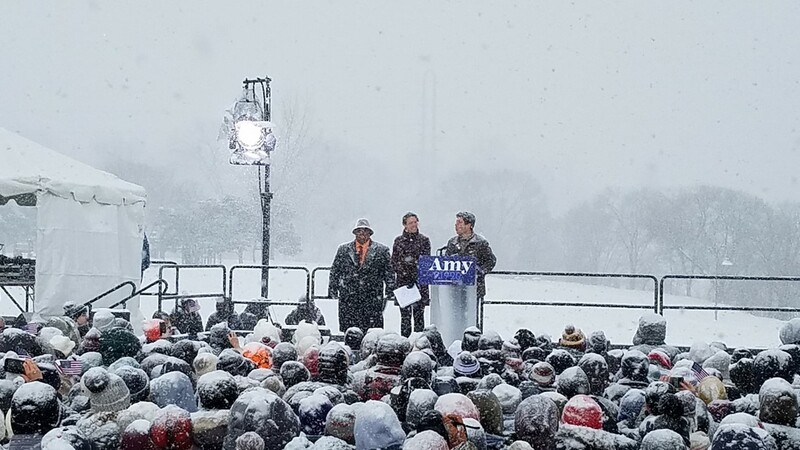 The mayors of Moorhead, Duluth and Minneapolis take the stage ahead of Sen. Amy Klobuchar's candidacy announcement. 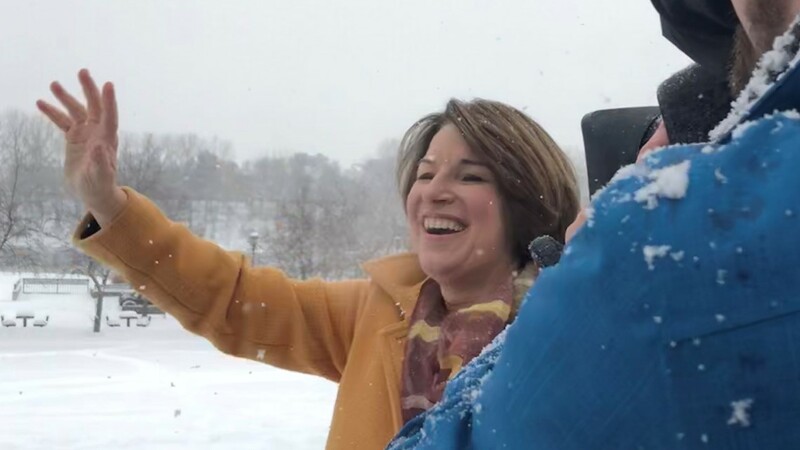 Amy Klobuchar greets supporters at her campaign launch event on Sunday, Feb. 10, 2019.